To summarise my ethical view into a quick grab “Be Honest, Be Balanced, Be Nice”. Responsibility – I take responsibility for I say. What I say are my thoughts, views, opinions or understanding of a topic or issue. I can be wrong even though I try hard not to be. I will admit to mistakes, correct them promptly and apologise where it is appropriate. Disclaimer I disclaim any and all responsibility or liability for the accuracy, content, completeness, legality, reliability, interoperability, or availability of information or material or photographs displayed on this blog. If you use this information, you should conduct your own testing and evaluation to ensure that it is fit for your purpose. Information on this site may contain errors or inaccuracies, the blog site’s writer(s) do not make warranty as to the correctness or reliability of this blog siteís content. Honesty and Fairness – I try to be fair, balanced and honest in gathering and interpreting information. I will reference sources and link where I can and tell the truth as I know it. Integrity and Disclosure – I will disclose conflicts of interest, affiliations, and personal agendas. I will not enter into favored treatment to advertisers and ignore pressure to influence content or perspective. If I choose to make exceptions, I will disclose that. Representation – I do not represent any company, real or imagined. I am myself. These are my opinions, thoughts and experiences. Also, I try not to misrepresent other people or their actions. Manners – I don’t say anything online that I wouldn’t say in person. Privacy – I recognise private people have a greater right to control information about themselves than do public officials and others who seek power, influence or attention. Ownership and Deletion I assert my own copyright and you may not reproduce my writing without permission. I reserve the right to delete articles for any reason, but usually because they are boring or not relevant. You By reading these ethics you agree to uphold them yourself and in your dealings. That will help to make the world a better place :). Pay it forward. EtherealMind and Packet Pushers are held as commercial entities and property by Thropos Ltd. Thropos Ltd is UK registered Limited Corporation – UK Reg. No. 05816201 VAT Reg No. GB 916880301. I own no stocks, shares or options in any company. I may have retirement portfolio invested in managed funds but I have no influence or knowledge of them. Since Aug 2014, I’ve been performing analyst work for GigaOmPro.com for a number of technology firms. I write on a commercial basis for a number of media companies at sites like NetworkComputing.com, SearchNetworking.com(TechTarget) and others. I provide casual advisory services to finanical institutions via Mosaic Services, part of Pacific Crest Securities. I also work directly with other financial institutions in commercial-in-confidence. Most revenues from podcast and blog advertising and sponsorship are handled by Packet Pushers Interactive LLC. Packet Pushers LLC receives funding from a wide range of commercial organisations for PR & Marketing activities. All such activities are disclosed in the content and only offered without encumbrance. We also treat our guests nicely. I work as a freelance or contract Network Architect / Engineer for various companies in the United Kingdom. This employment and business terms is subject to confidentiality agreements in work contracts and not disclosed accordingly. Authoring – I provide professional writing and authoring on a contract basis to many firms. Some of this work is published publicly and some articles are for internal use. I do provide preferential scheduling to companies that hire me for this work. Details are commercial-in-confidence by the owner of the materials. Marketing Analysis and Research – I provide marketing analysis and research to companies on several topics. Market positioning, Customer engagement and Social Media programs are the most common areas. This work is also commercial in confidence for obvious reasons. I will donate a portion of money received from my blog, at my discretion, to a good cause of my choice and advise when this happens. My publicly available Kiva profile (my preferred charity) can be found here. Social Media does not mean free marketing for you at my expense. If you are interested in promotion, then contact me for advertising and sponsorship opportunities. You must also accept that I will disclose any such arrangements and apply the ethics outlined above. I reserve the right to express my view as I see fit at all times. I reserve copyright on all writing and content on this website where the copyright belongs to me. You can ask to quote me for your our brochures or marketing content. If you or your company are making revenue from my content in a marketing program or promotional context, then I also want to get paid too. That’s not unreasonable. If you are a community, charity or non-profit then I’m unlikely to charge you. The same applies to Packet Pushers Podcast. Anything I write on http://etherealmind.com belongs to Thropos Ltd (UK). Packet Pushers is owned by or is copyrighted by Thropos Ltd (UK) and Packet Pushers Interactive LLC (US). Gestalt IT Tech Field Day – I have attended several Gestalt IT Tech Field Day events. The events are sponsored by vendors, and TFD paid for my travel and accommodation to and from the event. This includes some free drinks and meals. Vendors give various pieces of promo material such pens, mugs or t-shirts. Most of which I don’t accept because of weight restrictions and the fact that most vendor clothing and spivs are ugly. Gestalt IT Network Field Day – I am part organiser for the Network Field Day that runs twice a year. I may receive a small stipend for this subject to financial agreements as an organiser and host. HP Network Tech Day – I have attended HP Networking Tech Day in Sacramento on Aug 2010 to receive a briefing in HP Networking products. HP paid for travel and accommodation. I received no other consideration for this event. VMworld 2010 – HP Networking provided travel, accommodation and entry to the VMworld 2010 in Copenhagen. The purpose was to meet and be briefed on their cloud networking initiatives. I received no other consideration for this event. NetworkComputing.com / InformationWeek – I’m a contributor to Network Computing and Information Week – here is my Network Computing profile and links to writing/articles there. I’ve also written long form Analytics reports for UBM that are available on the site. I am paid for this work. TechTarget.com/SearchNetworking – I’m an occasional contributor to SearchNetworking.com. I am paid for this work. 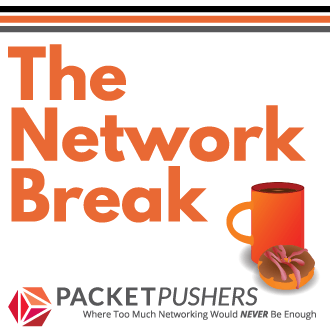 Cisco Live San Diego 2012 – sponsored engagement for Packet Pushers – disclosed on all work delivered. No further encumbrance. 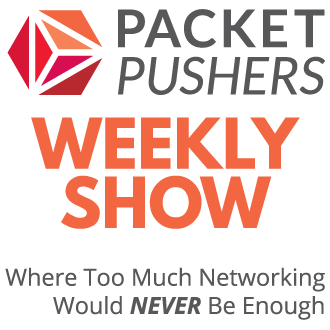 Cisco Sponsored Podcasts – an ongoing program of sponsorship for podcast content at Packet Pushers – disclosed on all work. Oct 2012 – I participated as judge for Spirent’s Network Heroes UK Award for 2012. I am not paid for this work although I got a nice bottle of champagne and some chocolate as thanks. Oct 2012 – Network Field Day 4 – I received a OpenGear ACM 5004-G for evaluation purposes, a hoodie from Juniper, Cisco provided a neat USB stick and Starbucks gift vouchers (which I gave to someone else). Accommodation and travel provided by Tech Field Day without encumbrance. March 2013 – Network Field Day 5. I received a Moleskine notebook from Cisco Borderless BU. October 2013 – Network Field Day 6. I received an Aruba access point. Accommodation and travel provided by Tech Field Day without encumbrance. October 2013 – Palo Alto supplied an unsolicited PA200 firewall and licenses. October 2013 – Interop New York – Speaker / Presenter for the Infrastructure track. I was paid for this work. December 2013 – HP Discover – Barcelona – Accommodation and travel provided by HP without encumbrance.